описание (rus) Air Explorer Pro - пожалуй, самый удобный и продвинутый менеджер для работы с облачными сервисами. 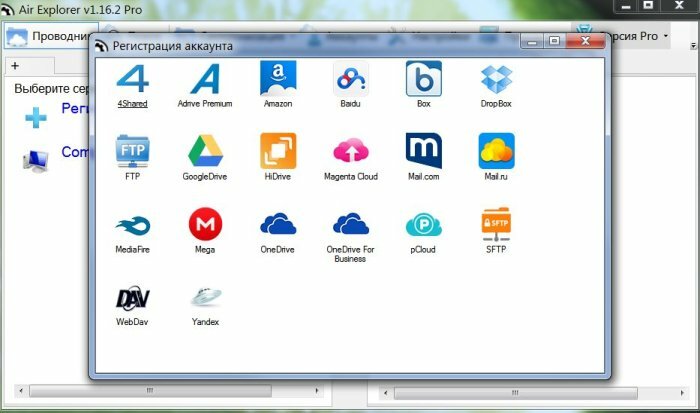 Air Explorer Pro поддерживает работу с хранилищами: OneDrive, OneDrive for Business, Google Drive, Amazon Cloud Drive, 4shared, Box, Dropbox, Mega, Mediafire, Yandex, Baidu, Hidrive, pCloud, Mail.ru, WebDAV, Mail.com, Adrive, Magenta Cloud and FTP, поддерживает протоколы WebDAV и FТP. • При необходимости Air Explorer Pro может шифровать файлы при загрузке их в «облако». • Air Explorer Pro portable может обмениваться файлами. • Централизованый поиск файлов по всем «облакам». 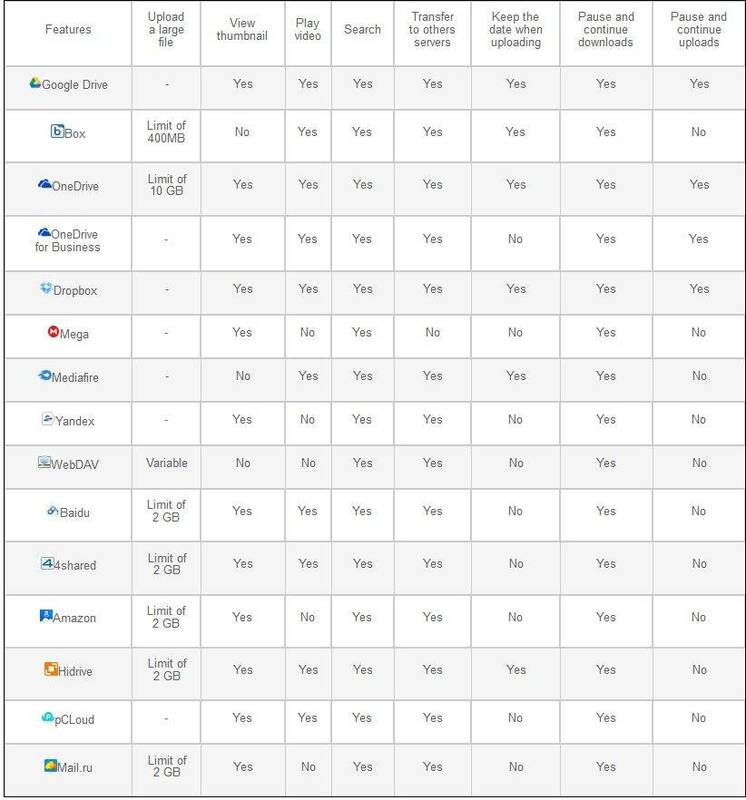 OneDrive, OneDrive for Business, Google Drive, Amazon Cloud Drive, 4shared, Box, Dropbox, Mega, Mediafire, Yandex, Baidu, Hidrive, pCloud, Mail.ru, WebDAV, Mail.com, Adrive, Magenta Cloud and FTP. -Do not show free space and quota for servers that don't give these values. В архиве пролеченные файлы + оригиналы($backup) +лаунчер + Offline installator. Папку со своими настройками (папка AirExplorer) закинуть в папку AirExp с заменой. -Don't trasnfer hidden files when folders are copied if view hidden files option is disabled. -Added versions history support for Google Drive. -Added versions history support for Dropbox. -Added versions history support for Box. -Added versions history support for OneDrive for Business. -Added /filter parameter for the startsync command to exclude some files in the synchronizations. -Option to delete the local files permanently instead of sending them to the recycle bin. -Updated Chinese translation (thanks to ILI GPU).